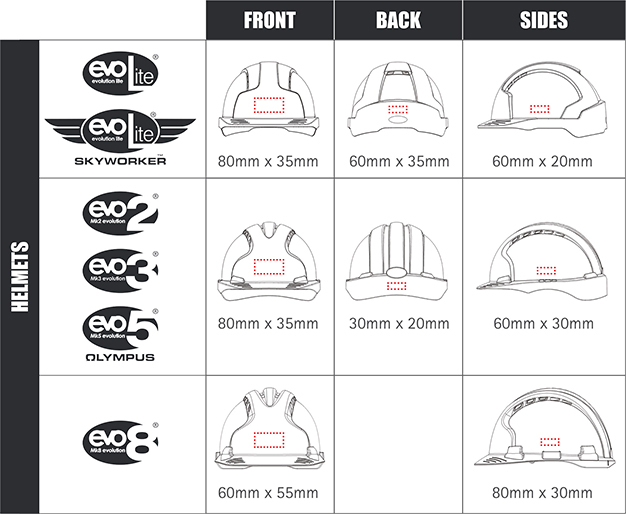 SELECT HELMET Choose your style of helmet, colour and where you want your logo to be printed. Choose either front, back, sides or any combination of the three. 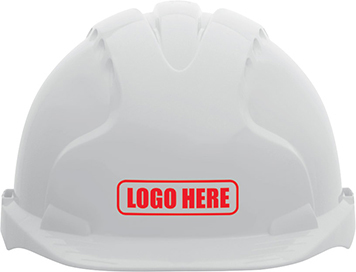 SUPPLY ARTWORK Email artwork to logos@jspsafety.com, preferably Adobe Illustrator .ai or .eps files as well as a JPEG file. Other file formats are accepted, however these may incur additional set-up charges and require more time for the artworking involved. 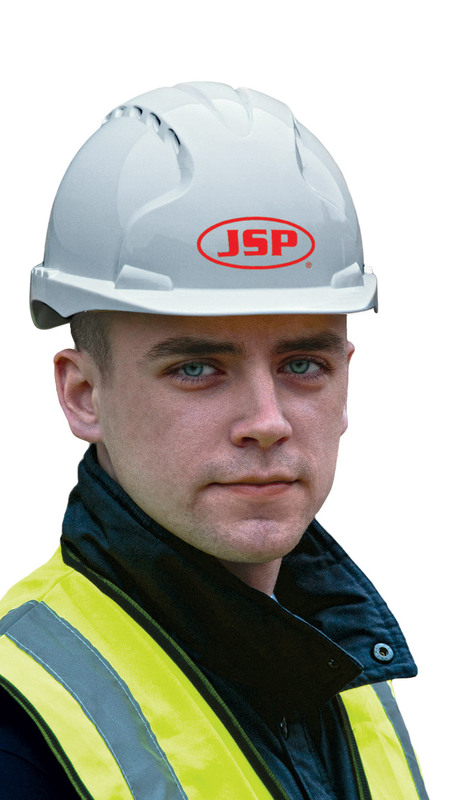 APPROVE PROOFS JSP will provide colour proofs via email.Confirm your order by contacting logos@jspsafety.com, alternatively state any amendments that you require. Minimum order quantities apply*. Below is a logo size guide.